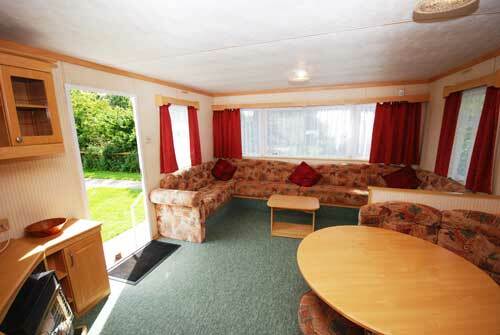 We have five six-berth caravans set in a rural location close to the farm buildings. All have three bedrooms, a shower and a flushing toilet. They have electric lighting, fridge, kettle, microwave and toaster. Plus gas cooker, fire and water heater with hot water to all sinks and showers. Lower Sutton Farm is less than a mile from the unspoilt south west coast of the Isle of Wight. We are close to the Isle of Wight Cycle route and a network of lanes and rights of way. 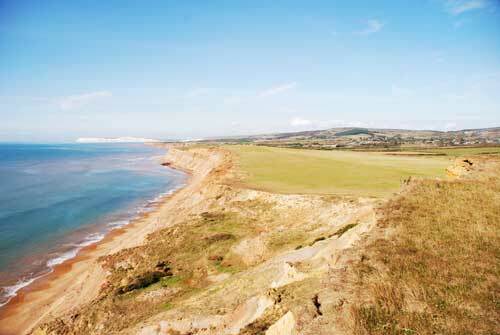 The shops, pub and cafés of Brighstone are two miles away. 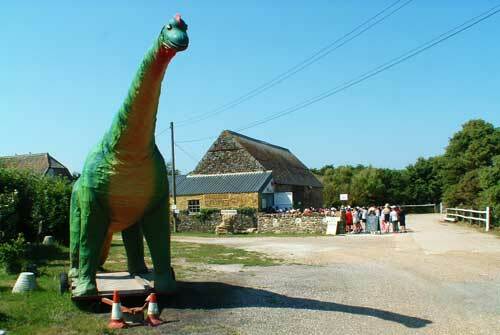 At least 30% of a brachiosaurus dinosaur, the most complete of its type in Western Europe, was found on our farm in 1992. We were the H.Q. for "Live From Dinosaur Island", many of the scenes were filmed on our farm, and most of the panaramic views were of our cliff and the surrounding area.